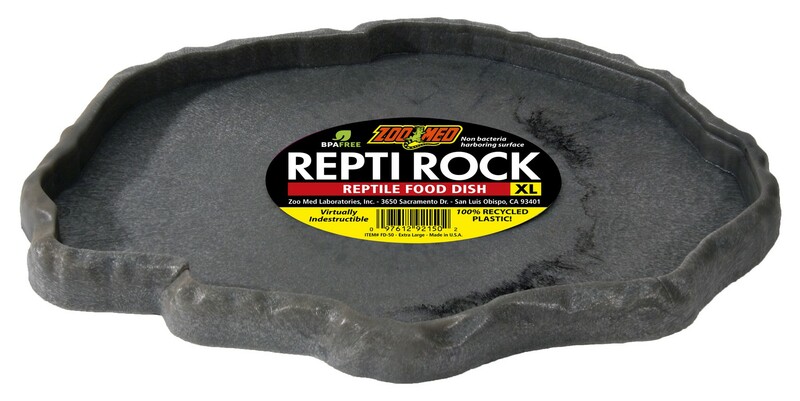 Repti Rock Food Dish | Zoo Med Laboratories, Inc.
A food dish with a low profile and smooth non-porous surface. 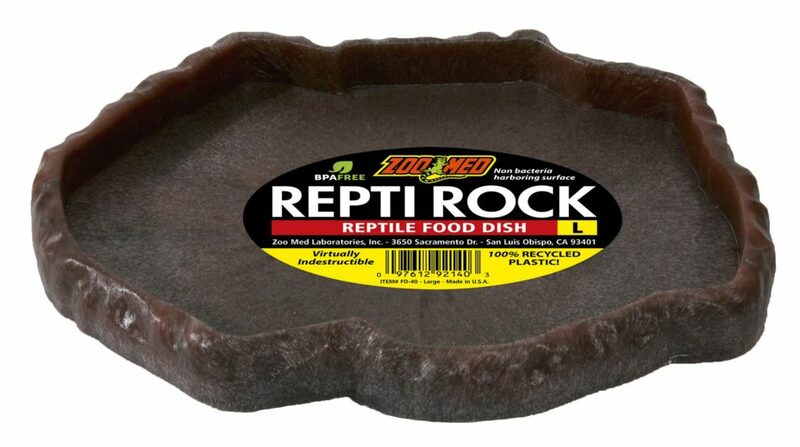 Great for feeding and preventing bacteria growth. 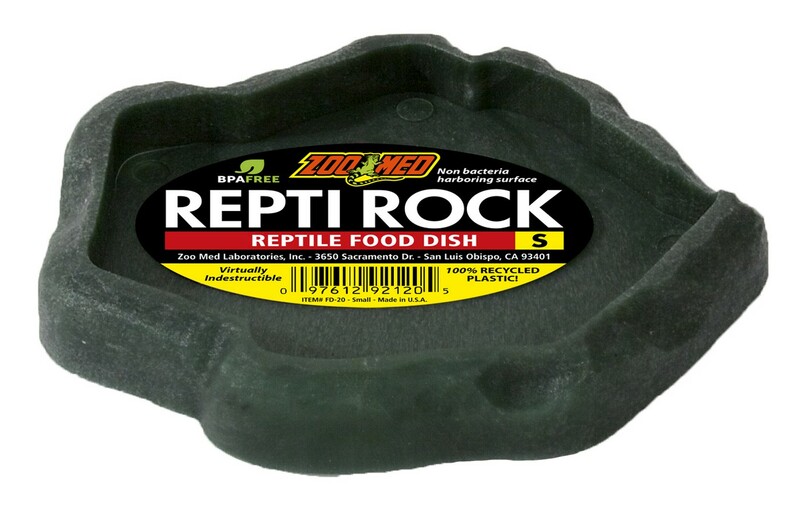 WE ARE EFFECTIVELY RECLAIMING RESOURCES BY MAKING ALL OF OUR FOOD AND WATER DISHES OUT OF 100% RECYCLED PLASTIC.